King of the Romans (Latin: Rex Romanorum; German: König der Römer) was a title used by Syagrius, then by the German king following his election by the princes from the time of Emperor Henry II (1014–1024) onward. 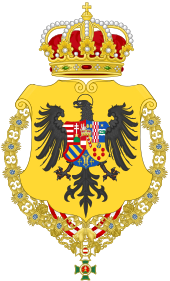 The title was predominantly a claim to become Holy Roman Emperor and was dependent upon coronation by the Pope. The title originally referred to any elected king who had not yet been granted the Imperial Regalia and title of "Emperor" at the hands of the Pope. Later it came to be used solely for the heir apparent to the Imperial throne between his election (during the lifetime of a sitting Emperor) and his succession upon the death of the Emperor. Their actual title varied over time. 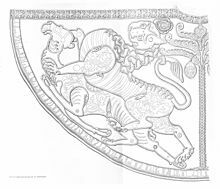 During the Ottonian period it was King of the Franks (German: König der Franken, Latin: Rex Francorum), from the late Salian period it was Roman King (Römischer König) or King of the Romans (German: König der Römer, Lat. : Rex Romanorum). In the Modern Period, the title King in Germania (German: König in Germanien, Lat. : Germaniae Rex) came into use. Finally, modern German historiography established the term Roman-German King (Römisch-deutscher König) to differentiate it from the ancient Roman Emperor as well as from the modern German Emperor. The territory of East Francia was not referred to as the Kingdom of Germany or Regnum Teutonicum (Latinised from Old High German diutisc) by contemporary sources until the 11th century. During this time, the king's claim to coronation was increasingly contested by the papacy culminating in the fierce Investiture Controversy. After the Salian heir apparent Henry IV, a six-year-old minor, had been elected to rule the Empire in 1056 he adopted Romanorum Rex as a title to emphasize his sacred entitlement to be crowned Emperor by the Pope. Pope Gregory VII insisted on using the derogatory term Teutonicorum Rex ("King of the Germans") in order to imply that Henry's authority was merely local and did not extend over the whole Empire. Henry continued to regularly use the title Romanorum Rex until he finally was crowned Emperor by Antipope Clement III in 1084. Henry's successors imitated this practice, and were also called Romanorum Rex before and Romanorum Imperator after their Roman coronations. Candidates for the kingship were at first the heads of the Germanic stem duchies. As these units broke up, rulers of smaller principalities and even non-Germanic rulers were considered for the position. The only requirements generally observed were that the candidate be an adult male, a Catholic Christian, and not in holy orders. The kings were elected by several Imperial Estates (secular princes as well as Prince-Bishops), often in the imperial city of Frankfurt after 1147, a custom recorded in the Schwabenspiegel code in about 1275. Originally all noblemen present could vote by unanimous acclamation, but later a franchise was granted to only the most eminent bishops and noblemen, and according to the Golden Bull of 1356 issued by Emperor Charles IV only the seven Prince-electors had the right to participate in a majority voting as determined by the 1338 Declaration of Rhense. They were the Prince-Archbishops of Mainz, Trier and Cologne as well as the King of Bohemia, the Count Palatine of the Rhine, the Saxon duke, and the Margrave of Brandenburg. After the Investiture Controversy, Charles intended to strengthen the legal status of the Rex Romanorum beyond Papal approbation. Consequently, among his successors only Sigismund and Frederick III were still crowned Emperors in Rome and in 1530 Charles V was the last king to receive the Imperial Crown at the hands of the Pope (in Bologna). The Golden Bull remained effective as constitutional law until the Empire's dissolution in 1806. 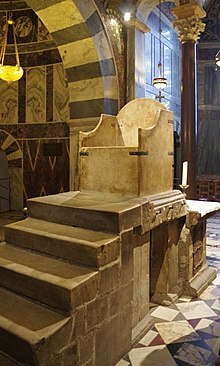 After his election, the new king would be crowned as King of the Romans (Romanorum Rex), usually at Charlemagne's throne in Aachen Cathedral by the Archbishop of Cologne. Though the ceremony was no more than a symbolic validation of the election result, it was solemnly celebrated. The details of Otto's coronation in 936 are described by the medieval chronicler Widukind of Corvey in his Res gestae saxonicae. The kings received the Imperial Crown from at least 1024, at the coronation of Conrad II. In 1198 the Hohenstaufen candidate Philip of Swabia was crowned Rex Romanorum at Mainz Cathedral (as was King Rupert centuries later), but he had another coronation in Aachen after he had prevailed against his Welf rival Otto IV. At some time after the ceremony, the king would, if possible, cross the Alps, to receive coronation in Pavia or Milan with the Iron Crown of Lombardy as King of Italy. Finally, he would travel to Rome and be crowned Emperor by the Pope. Because it was rarely possible for the elected King to proceed immediately to Rome for his crowning, several years might elapse between election and coronation, and some Kings never completed the journey to Rome at all. As a suitable title for the King between his election and his coronation as Emperor, Romanorum Rex would stress the plenitude of his authority over the Empire and his warrant to be future Emperor (Imperator futurus) without infringing upon the Papal privilege. Not all Kings of the Romans made this step, sometimes because of hostile relations with the Pope, or because either the pressure of business at home or warfare in Germany or Italy made it impossible for the King to make the journey. In such cases, the king might retain the title "King of the Romans" for his entire reign. The title Romanorum Rex became functionally obsolete after 1508, when the Pope permitted King Maximilian I to use the title of Electus Romanorum Imperator ("elected Emperor of the Romans") after he failed in a good-faith attempt to journey to Rome. At this time Maximilian also took the new title "King of the Germans" or "King in Germany" (Germaniae rex, König in Germanien), but the latter was never used as a primary title. The rulers of the Empire thereafter called themselves "Emperors" without going to Rome or soliciting Papal approval, taking the title as soon as they were crowned in Germany or upon the death of a sitting Emperor if they were elected as heir to the throne. The regnal dates given are those between the election as king and either the election as emperor, deposition or death. Richard of Cornwall 1257 1272 died Candidacy opposed by Saxony, Brandenburg and Trier who supported Alfonso X of Castile. Crowned in Aachen in 1257. Maximilian I 1493 1508 assumed title of Emperor-elect. Introduced the title Rex in Germania. "We, Francis II, by the grace of God elected Roman Emperor, at all times Increaser of the Realm, hereditary Emperor of Austria, King in Germania, in Jerusalem, in Hungary, in Bohemia [...]. The election was in the same form as that of the senior ruler, and theoretically meant that both men were equal co-rulers of the Empire. In practice, however, the actual administration of the Empire was always managed by the Emperor, with at most certain duties delegated to the heir. When Napoleon I, Emperor of the French, had a son and heir, Napoleon II (1811–32), he revived the title as King of Rome (Roi de Rome), styling his son as such at birth. The boy was often known colloquially by this title throughout his short life. 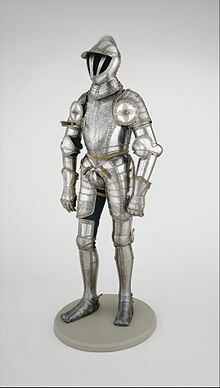 However, from 1818 onward, he was styled officially as the Duke of Reichstadt by Emperor Francis I of Austria. ^ Elisabeth Rothmund: Heinrich Schütz (1585–1672). Kulturpatriotismus und deutsche weltliche Vokalmusik. „Zum Auffnehmen der Music, auch Vermehrung unserer Nation Ruhm“, 2004, p. 79. H. Weisert: Der Reichstitel bis 1806. In: Archiv für Diplomatik|Archiv für Diplomatik, Schriftgeschichte, Siegel- und Wappenkunde 4 (1994), 441–513 (p. 449). ^ Ernest Troger, Georg Zwanowetz (ed. ): Neue Beiträge zur geschichtlichen Landeskunde Tirols. Festschrift für Univ. Prof. Dr. Franz Huter anlässlich der Vollendung des 70. Lebensjahres. Wagner, Innsbruck 1969, p. 269. ^ Wir, Franz der Zweyte, von Gottes Gnaden erwählter Römischer Kaiser, zu allen Zeiten Mehrer des Reichs, erblicher Kaiser von Österreich, König in Germanien, zu Jerusalem, zu Hungarn, zu Böheim, […] Franz Gall: Österreichische Wappenkunde. Handbuch der Wappenwissenschaft. 2. Auflage. Böhlau, Wien 1992, p. 63. H. Beumann: Rex Romanorum, in: Lexikon des Mittelalters (Dictionary of the Middle Ages, 9 vols., Munich-Zürich 1980-98), vol. 7, col. 777 f.